The Kickstarter Umbra by SolarFall Games is now under both a new title and studio name. 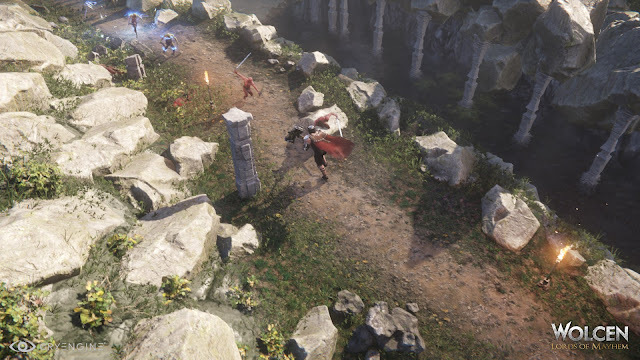 Wolcen: Lords of Mayhem by WOLCEN Studio is now into the Alpha stages of development and available through Steam’s Early Access for anyone that didn’t Kickstart the project. 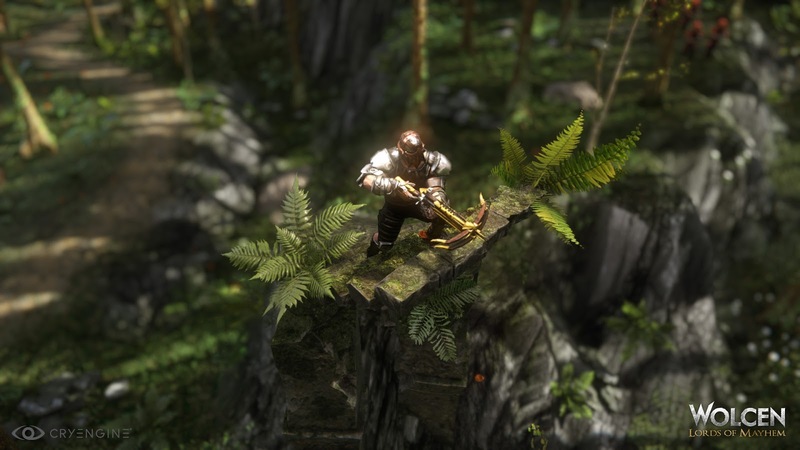 Having already tasted just a bit of what it had to offer under the Umbra banner back in June, diving back into this world was more than a lot of fun for a lover of the Hack and Slash titles that do more than a bit outside of the proverbial box. Currently Wolcen is still in the early alpha stages of development and there are still plenty of changes and optimizations to follow. I have a fairly powerful machine and could only run Wolcen on the Low setting with an AMD card. I managed to run it on Medium however on my brother's machine which is the equivalent though using an Nvidia card. It’s not to say that the two machines couldn’t load everything on the highest because while they could, everything was too choppy to play properly as there was a bit too much thinking going on. There will be a bit of playing around with the settings to get get things running right in the beginning but that’s the purpose of betas in order to iron out some of the bugs. Regardless of the length of time that playing around with these settings takes, it’ll be worth it in order to start diving in and exploring this awesome Hack and Slash world. During its Kickstarter there was a promise of an “Open world, free progression hack 'n' slash!” and so far things are running along those lines. Starting off at the ripe level of one with no pants and nothing more than a loin cloth and torch, your personally named avatar sets out on their adventure. Gaining the first level does not take very long and once achieved offers players the immediate options of setting out how they wish to develop their character. Currently there are options for a Tank, Fighter, Rogue, and Wizard builds or simply doing as you see fit by mixing and matching from the various “class” trees. Unlike a lot of others in this style including the ones that offer players to choose their own paths such as the recently fully released Grim Dawn, leveling up a character does not allow them to “learn new abilities”. Instead of this, skill points are granted in order for modifying to how a character can perform actions such as One or Two handed weapon proficiency, movement speed, and dodging. Abilities instead of being learned by gaining experience and leveling up are instead obtained by tomes which impart the knowledge to the character. Once this knowledge is learnt these abilities can level up in time by using them in the field. Once an ability is available for a level up customization can then be done by looking over the options such as more core power or instead deciding to follow a more utility based approach. Graphically Wolcen is gorgeous. The environments from dark caves to the lush open forests are vibrant and amazing to just sit and look at. Being able to rotate the camera in a 360 degree view only helps enhance the visuals. Right now the only thing that isn’t pretty is your dOOd (yes the Prinny spelling of the word) as he’s big, tall, strong, musclebound and bald. Concentrating more on the gameplay aspects your personal visuals will come later alongside being able to choose the other gender. What is visually awesome about him is that equipment comes in pieces for the various parts of the body. Gloves, Bracers, Greaves, Shoulders, Helmet, Chest, and some accessories allows not only for interesting visual components but also stat building variety once the good stuff starts rolling in. Because your character can do whatever they wish to, combat is a tad confusing at the beginning not because it isn’t properly explained, but more because the sheer level of choice is a tad overwhelming. First things first, you can hit someone with a torch. Simple. Then you have lightning that would make a Sith Lord blush in embarrassment for they would find themselves lacking and your spell is only level one. Then there’s a frost ring, and then double wielding, and then fireballs! I honestly wasn’t sure at times what I wanted to do. The lightning blasts are freaking incredible and useful but so is smacking an enemy right upside the head after freezing them with the frost. Never mind the immolation, shadow strikes, and the earth shattering wave of destruction that can be launched. None of this is restricted which is awesome but at the same time it can feel a bit too much? That is until you die but currently resurrection is easy and free so it’s really not an issue but it will be interesting to see what kind of penalties come along for the ride. 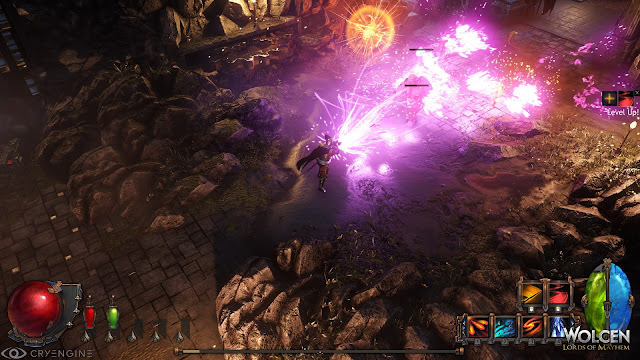 At the current point in time while there is still a lot of work to go, things are shaping up quite nicely and I'm curious to see how Wolcen evolves from this point. Having context and some storyline to follow was a lot nicer than the original random dungeon crawl that the pre-alpha offered. Dungeon crawling is awesome but sometimes, we need a bit more and so far the alpha is delivering upon that. Keep up the great work Wolcen Studios and we’ll definitely be back for an updated preview in the beta!